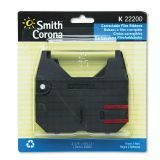 For use with Smith Corona™ K™ and Wordsmith series typewriters. 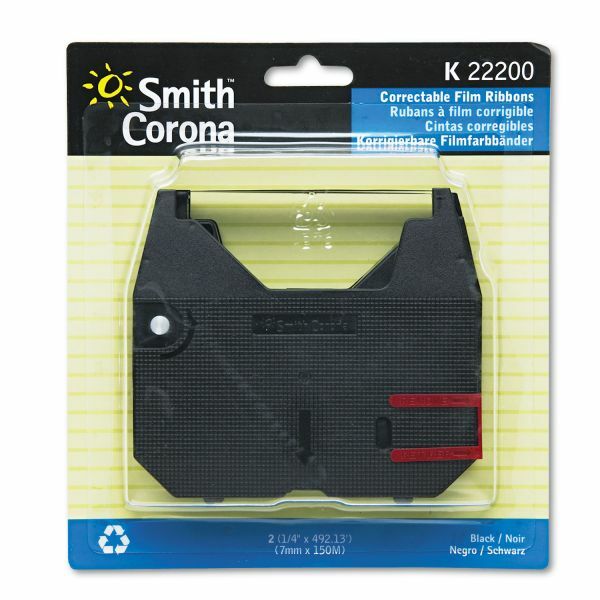 Smith Corona 22200 Ribbon, Black - The Wordsmith K-Series typewriter ribbon offers precise, clear lettering for use with Wordsmith 100, 150, 200, and 250 typewriters. Correctable Film Black Ribbons give you unmatched sharpness and clarity for printed text. To be used only with Lift-Off Correcting Tape Spools.